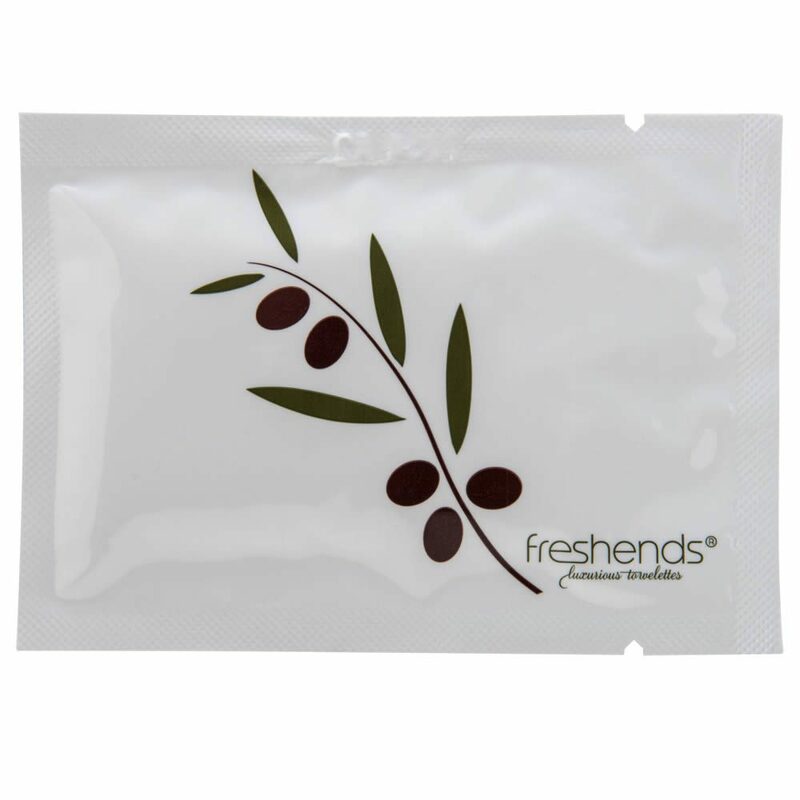 300 individually packaged Freshends towelettes in our Olive Branch packet design. Freshends eco-friendly individually packaged flushable wipes for the bathroom. 300 Individually packaged Freshends towelettes in our Olive Branch packet design. Freshends eco-friendly individually packaged flushable wipes for the bathroom. Experience Freshends for a soothing and comfortable feel far superior than dry toilet tissue alone. Freshends are truly flushable in both sewer and septic systems. Made with natural ingredients including Aloe, Cucumber Extract, Vitamin E & Chamomile. Freshends are individually packaged, portable and discreet which makes them ideal for travel, camping, gym bags, baby bags and any daily encounter. Towelettes are packaged loosely in a 9x9x9 inch box.